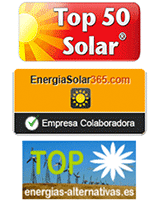 The price of solar panel (named commonly) just about 5 years ago was about 1,000 €, today, we find these photovoltaic modules tienda-solar.es for less than 200 €, which means about 80% lowering the price of solar panel in less than 5 years. This fall in prices on solar panels is widespread in almost all manufacturers of solar electric systems from lower quality Chinese brands to brands of authority in making solar panels as is the Japanese Kyocera. This enables reduction in prices that anyone can afford a solar energy at home and made their own electricity. But it is not so easy, or at least not in Spain. We will be taking this opportunity, right? Absolutely not! Since the current government seems to be very keen to exploit these advantages and develop jobs around solar energy in Spain, a sector in which we have a clear competitive edge over the rest of our European neighbors sector. In fact, it is pending for more than a year ago, called the approval of the decree of consumption that would compensate for the excess production of energy from a solar photovoltaic installation with the expenses associated with the same customer. Thus, more power produced by this customer, would be recorded in its counter output to compensate at its next electric bill. This charging scheme already operates in many countries as USA, Germany, Italy, Belgium, Denmark, Japan, Mexico, and etc. But, incidentally, is not implanted in the European country with the most hours of sunshine. We have no choice but to expect a sudden attack of sanity in our political cause to this waste of the potential of Spain in the field of solar energy. Until then we will take every ray of sunshine in the most profitable way possible: solar photovoltaic!